It is requirement under the Health (Hairdressers) Regulations 1980 to register with your local council if you wish to operate as a hairdressers shop. There are many hairdressing salons registered in Selwyn, and they are inspected on an annual basis to ensure they maintain minimum standards of health and comply with the relevant legislation. This also includes home based salons. A clean salon is less likely to spread microbial infections or head lice. While most salons in Selwyn maintain good standards of cleanliness, there are often issues with inadequate disinfection of equipment, and this can cause a health risk for both you and your customers. You must thoroughly wash all equipment in hot water and detergent after use on each customer to remove hair, grease and other matter. Any common household detergent will do. You need a sink specifically for this purpose. At the end of each day, or immediately after use on a person with infected skin, you must use a chemical disinfectant to disinfect all your equipment. 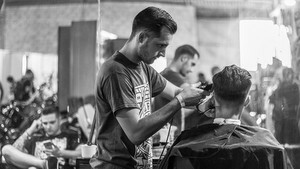 Under the Regulations, you can serve refreshments, provided you do not do so in the service area where hair is being cut. You have a responsibility to keep your food safe. To prevent vermin gaining entry into your premises, seal all holes and gaps around doors, pipes and in the ceiling space. If you check your premises regularly, they are unlikely to become a problem. If you find evidence of vermin, lay bait or traps. Dogs, other than guide dogs, are not permitted in hairdressing salons. 'No Dogs' notices should be posted near your salons entrance. To register your salon, please fill out the application form and return to Food and Health Standards ( 2006) Ltd. or the Selwyn District Council offices. The annual registration fee associated with registering a hairdressers shop can be found on the list of fees and charges.